Membership of our email group allows you to get PNHA newsletters, information on important local issues, upcoming events, and campaigns. Kicking off on September 22nd in Jan Juc, Victoria, the 2018/19 Rip Curl GromSearch presented by Flight Centre is set for another epic year of high-level competition. The Rip Curl GromSearch National Series presented by Flight Centre is a prestigious event series giving 16-and-under surfers a chance to compete against their nations’ best, and 2018 marks its 20th year running. One of the longest Junior Surfing Series in the world, it has become a crucial stepping-stone in the development of junior surfers. The list of previous GromSearch winners illustrates the significant history of the series, with World Surf League (WSL) competitors Gabriel Medina (Brazil), Tyler Wright (Australia), Owen Wright (Australia), Matt Wilkinson (Australia), Jordy Smith (South Africa), Kolohe Andino (USA) and Sally Fitzgibbons (Australia) among the list of former competitors and GromSearch International Final Champions. Working in conjunction with Surfing Australia, the Rip Curl GromSearch includes divisions in 16-and-under, 14-and-under and 12-and-under, for both boys and girls. The Australian National series will feature five stops in the key surfing regions of Jan Juc (VIC), Newcastle (NSW), Trigg Beach (WA), Yorke Peninsula (SA) and the Sunshine Coast (QLD). Participants can look forward to activities, giveaways and the chance to meet surfers from all over the country at each event, as well as hone their skills in the water. Athletes will gain valuable experience with the same system of priority and judging used across all elite surfing events. The Australian series allows surfers from around the country to compete against their contemporaries in a fun and engaging environment. Each result in the five-event series is awarded points that count towards a surfer’s GromSearch National rating, giving participants across the country the opportunity to compare their performances against their peers. After the last event in Queensland, the top-ranked surfers qualify for the Rip Curl GromSearch National Final (in their respective divisions), where they then compete for the chance to become the Australian GromSearch Champion. The National Champion then represents Australia at the Rip Curl GromSearch International Final, held at a new location around the globe each year, against the best junior surfers in each participating country. Entry details, event format and further information on entry procedures will be available in the coming weeks. The 2018 Rip Curl GromSearch series is presented by FLIGHT CENTRE, with managing partner Surfing Australia. Students at Manly West Public School are learning the art of chicken wrangling in a program designed to support student wellbeing. The Chicken Wranglers program supports student wellbeing at Manly West Public School. Every lunchtime small groups of students, known as ‘Chicken Wranglers,’ descend on the school’s kitchen garden area to feed the chickens, check water levels and hunt for eggs. The program was set up to link with the school’s broader student wellbeing program and encourages positive social behaviour and promotes a sense of belonging for students within the school community. The Chicken Wranglers program has been running at Manly West Public School for almost five years. Catherine Wyles, assistant principal, said the position of Chicken Wrangler was a highly sought-after role within the student body. “The students show great enthusiasm for the program and look forward to their turn to participate,” she said. Being a Chicken Wrangler is a big responsibility with students in Year 2 and 3 trained by students in Year 5 and 6. The older students lead the younger students in a buddy system, which strengthens their confidence and leadership skills. Once trained, students are presented with a badge to wear identifying them as an official ‘Chicken Wrangler’. Seven chickens currently call Manly West Public home, roosting in a purpose-built chicken coop located within the expansive surrounds of the school’s Stephanie Alexander Kitchen Garden. Fresh food scraps from the school canteen are used as chicken feed or garden compost and any eggs laid are offered to the canteen for school lunches. Beyond the chicken coop, there are garden beds, a compost pit and worm farm, with Year 3 students responsible for planting and caring for vegetables, herbs and other plants. The garden is utilised during lessons across all areas of the curriculum and provides an immersive learning experience for the students. Parents and community members often get involved with the garden and volunteer in tending to the chickens on weekends and during school holidays. Story © State of New South Wales (Department of Education), 2018. The 'father' of the internet identified threats to equal access for everyone during a conversation before a keen audience at UNSW. A “digital dark age” is looming unless a sophisticated regime for curating, preserving and accessing our data is established, the ‘father of the internet’, Vint Cerf, told a packed audience at UNSW Sydney today. Academics, students and researchers filled Leighton Hall at UNSW to hear Mr Cerf, Google's chief internet evangelist, in conversation with UNSW Scientia Professor of Artificial Intelligence, Toby Walsh. The event was held in partnership by UNSW Engineering and Google, and the pair spoke about the evolution and future of the internet, the Internet of Things and the challenges of digital security. Mr Cerf is the the co-designer, with Bob Kahn, of the TCP/IP protocols, the underlying communication language and the architecture of the internet. Professor Johnston highlighted the significant impact Mr Cerf has had on the world, largely because of decisions he and others made decades ago. “The age of innovation that the world is experiencing now across so many fronts is a result of the ‘permissionless innovation’ that he and so many others were part of,” said Professor Johnston. Mr Cerf discussed the early evolution of the internet, including the Advanced Research Projects Agency Network (ARPANET), the early packet switching network that linked many universities and research centres and became the technical foundation of the internet. Mr Cerf warned the audience about the ongoing challenges of net neutrality, the idea that the internet must be kept open and not charged differently by user or content. Cerf drew attention to the complications of the rise of digital media and of the forthcoming “digital dark age”. 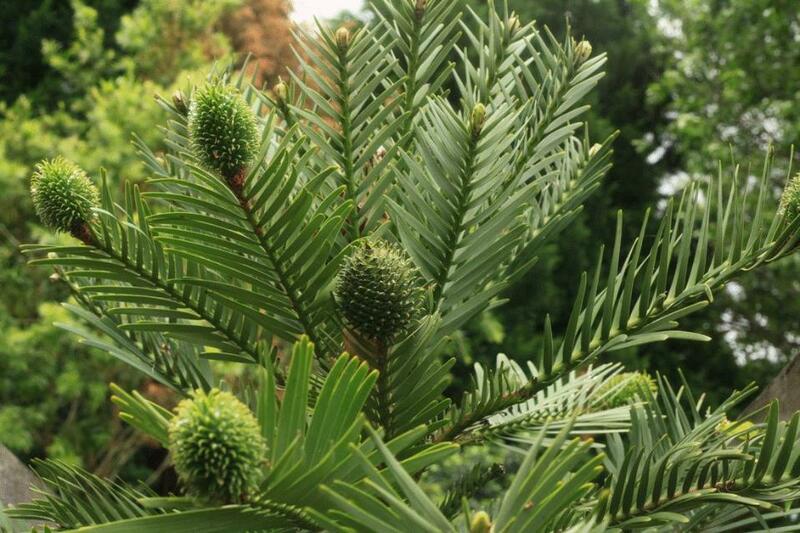 An ambitious project to better preserve the so called "dinosaur tree" – the Wollemi Pine – has blossomed and is sprouting in a secret location. "There are only 4 strands of the rare pine growing in remote canyons, so the establishment of a flourishing "insurance population" is a real win for the environment," Environment Minister Gabrielle Upton said. "The top-secret insurance population is now naturally producing cones and seeds, marking an exciting new step towards securing the survival of this ancient iconic plant. "Creating a self-sustaining insurance population will ultimately boost numbers to secure species in the wild. "The NSW Government invested almost $200,000 under its Saving our Species (SoS) Program towards securing the Wollemi Pine. "It's one of the world's oldest and rarest plants from the time of the dinosaurs and there are less than 100 trees left in the wild," Ms Upton said. "It's critically endangered in NSW and an Iconic Species under the SoS program, so these extremely positive early results are a real win for an extremely dedicated team of botanists and scientists," Ms Upton said. Dr Cathy Offord, Principal Research Scientist at The Royal Botanic Garden Sydney who has been studying the Wollemi Pine since its discovery in 1994, says the insurance plantation is doing better than those growing in the wild. "Some 83% of the insurance Wollemi pines are surviving and have increased in size by up to 37% making them mature enough to produce potentially viable seed much earlier than expected," Dr Offord said. "We've now collected around 60 viable seeds which are being used to find the best way for them to grow on their own. Dr Heidi Zimmer, Senior Scientist at the Office of Environment and Heritage says the production of cones indicates very positive results for the population and the species as a whole. "It means we've got the science right and there is now a strong possibility that this insurance population may become self-sustaining." The Wollemi Pine translocation is a collaboration between NSW Office of Environment and Heritage, The Royal Botanic Garden Sydney, National Parks and Wildlife Service the University of Melbourne (UoM) and Western Sydney University (WSU). Conservation of the Wollemi Pine is funded by the NSW Government's Saving our Species (SoS) program which aims to reverse a decline in the number of threatened species in NSW. In September 1994 David Noble, an officer with the NSW National Parks and Wildlife Service, discovered what we now call Wollemia nobilis or the Wollemi Pine. The Wollemi pine (or a very similar relative) was previously known from fossils, and so the term "dinosaur tree" was coined. This tree was thought to have evolved 200 million years ago, disappearing from the fossil record (pollen) 2 million years ago. Because of its uniqueness, the Wollemi pine was a new species in a new genus. Four stands of wild Wollemi Pines are found within a few remote canyons in the Blue Mountains, so the risk of losing the entire wild population in a single catastrophic event, like a fire or a disease outbreak is high. Establishment of a new 'insurance' population some distance from the original population reduces this risk. In August 2012, 191 Wollemi Pines were planted at a new site. This translocation site was chosen because it matched the warm temperate rainforest community characteristic of the wild site, and had land tenure that was secure in the long-term. This is just a brief message to say 'thank you' so much to those who participated in yesterday’s 19th annual ORRCA Census Day. We hope you enjoyed an exciting fun time out watching the great Whales migrate up our coastline. From all reports, it was one of our best years since the ORRCA Census started back in 2000. While whale sighting numbers continue to come in over the coming days, we can confirm we had many more members out and about and lots of media interest this year! All the final updates, news, fun, stories and photos from Sunday will be shared in our next member newsletter 'Flipper & Flukes' (Winter issue). Once again, thank you for your ongoing support! The NSW Government has put $9 million on the table to deliver more local projects to save threatened species. "This is the first time this scale of funding has been available to the community from the Saving our Species (SOS) program," Environment Minister Gabrielle Upton said. 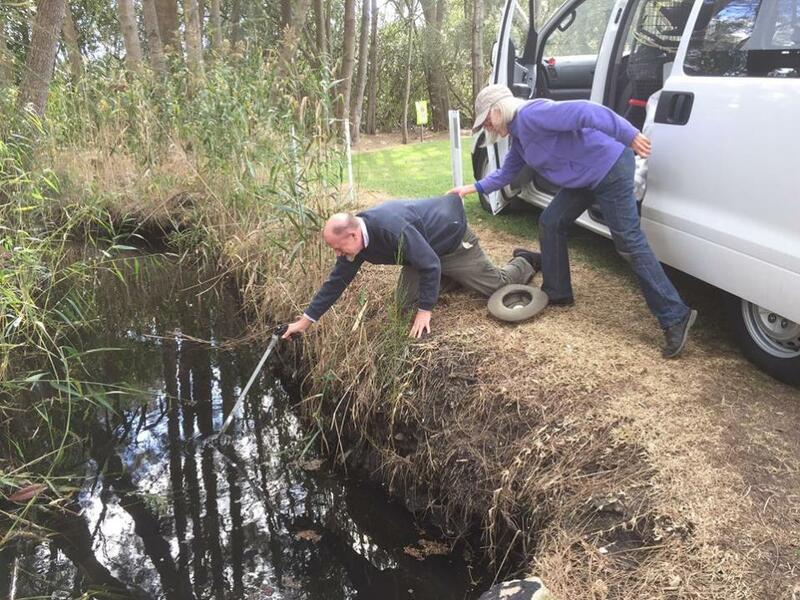 "The new grants program is designed to maximise the number of species that can be secured in the wild under the NSW Government's Saving our Species initiative. "Saving our Species is investing $100 million over five years to secure populations of threatened species in the wild. Projects are currently in place for some 350 species. Applications open today and I encourage groups to apply for funding for local projects," Ms Upton said. 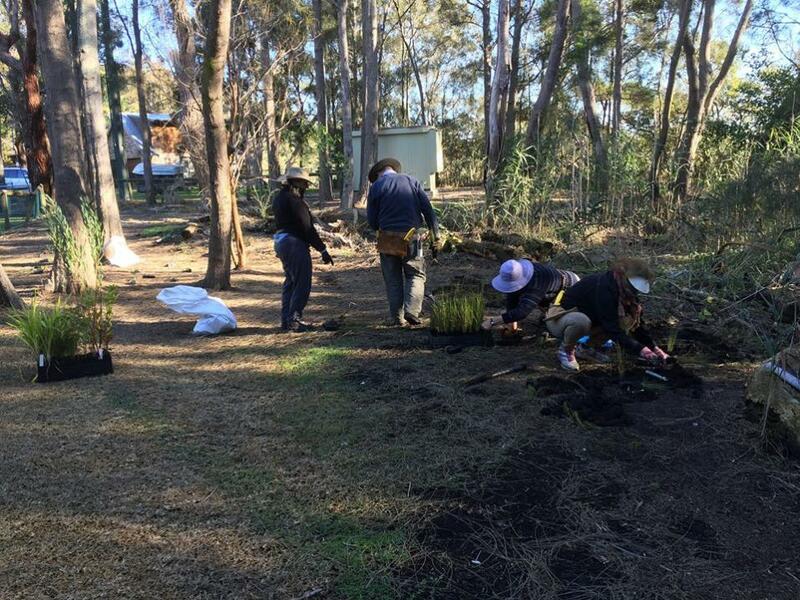 "By creating long-term partnerships between the NSW Government, community groups and other organisations, more threatened plants and animals can be managed and supported. All applicants are strongly encouraged to develop and deliver projects with other collaborating partners." Minister Upton announced the grant funding at a function for the Foundation for National Parks and Wildlife held in Manly today. 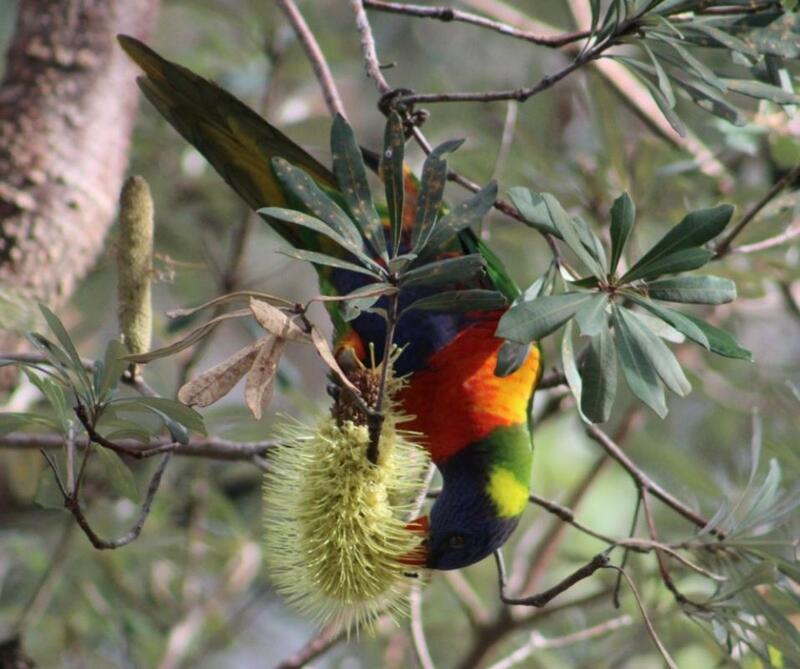 "This grant is a tremendous opportunity for community groups and organisations to identify a threatened or iconic species and seek shared funding for a project," said the Member for Manly, James Griffin. "Here in Manly, native animals such as the Long Nosed Potoroo on North Head have benefitted from Save our Species funded programs. "It's a win for the community, a win for the environment and, most importantly, it's a win for animals facing the threat of extinction," he said. Under the program individual grants of up to $350,000 are available for projects that will run for 7 years and will require a contribution from the successful organisation and project partners. Applications are open from 26 June – 13 August 2018. Hobart will host a gathering of more than 1000 Antarctic scientists and polar operations experts when the Antarctic gateway city hosts two key international events in August 2020. The Scientific Committee on Antarctic Research (SCAR) will hold its Open Science Conference, Business and Delegates’ Meetings and the Council of Managers of National Antarctic Programs (COMNAP) will have its Annual General Meeting. This year’s SCAR meeting in Davos, Switzerland concluded today. The Division’s Chief Scientist Dr Gwen Fenton and Australia’s delegate to SCAR was in Davos to officially invite participants to attend the 2020 meeting in Hobart. “SCAR delivers major international scientific collaborative research in Antarctica and the Southern Ocean and the Committee also provides independent scientific advice to the Antarctic Treaty parties,” Dr Fenton said. Australia’s new icebreaker, RSV Nuyina, is due to arrive in Hobart in mid-2020 and tours of the state-of-the art scientific platform and resupply vessel will be included in the program of both events. The bid for SCAR was led by the Australian Academy of Science’s National Committee for Antarctic Research (NCAR) in partnership with the Australian Antarctic Division and Tasmanian Government. SCAR President, Professor Steven Chown of Monash University, said Hobart is an ideal place for SCAR to meet with its critical mass of Antarctic researchers. “SCAR is delighted to be meeting in Hobart in 2020, where our members will announce a range of fundamental and important Antarctic research outcomes,” Professor Chown said. The NSW Government is providing $9.5 million for better waste recycling projects to counter the effects of China’s National Sword policy, Environment Minister Gabrielle Upton announced today. "China’s enforcement of its National Sword policy restricts the types of recycled material China will accept," Ms Upton said. "As China is the largest importer of recyclable products from Australia, this policy threatens NSW’s kerbside recycling system and the options for recycled material currently produced in NSW." Local councils should team up with industry to seek funding to improve and strengthen recycling in NSW, Ms Upton said. "A new grant, called the Product Improvement Program, provides $4.5 million for projects that reduce the amount of unrecyclable material left at the end of the recycling process. "Another $5 million is available for programs that identify new uses for recyclable materials and increase the production and use of recycled products. This includes $2.5 million under the Civil Construction Market Program and $2.5 million under the Circulate Program, she said. "The NSW Government has consulted with industry and local government to develop the grant programs and I encourage the state’s recycling sector to apply for this funding." Ms Upton said the NSW Government is committed to working with councils and industry to improve and strengthen our recycling systems in NSW. "An inter-government taskforce has been established to urgently progress a longer-term response to National Sword in partnership with industry and councils." The support package is being funded by the Waste Less, Recycle More initiative and provides a range of short, medium and long-term initiatives to ensure kerbside recycling continues and to promote industry innovation, she said. The NSW EPA is also working with councils to deliver the rest of the funding announced as part of the support package through the Better Waste and Recycling Fund and the Recycling Relief Fund. This funding aims to enable councils to off-set some extra costs associated with kerbside recycling collections, improve council tendering processes to increase the production and use of recycled products and fund community education initiatives to reduce kerbside recycling contamination. A summary of the funding package and updated guidelines is available at: https://www.epa.nsw.gov.au/your-environment/recycling-and-reuse/response-to-china-national-sword. A so-called "new" grant to councils hard hit by the Chinese National Sword recycling crisis was actually just the same funding that had already been announced, Local Government NSW (LGNSW) said today. "It looks like Local Government and Environment Minister Gabrielle Upton is having a bit of a recycling crisis of her own," LGNSW President Linda Scott said today. "The Minister's latest announcement boasts that her $9.5 million package will 'blunt the Chinese Sword' - but it's just part of the $47.5 million rescue package she announced back in March. "And even then the funding was recycled - it was simply diverted from funds already allocated to councils to better manage waste across NSW. "Councils had already been granted that funding under the Waste Less Recycle More Program, and had factored it into their existing recycling and waste management budgets. "But what is really disappointing is that the money was contributed by councils to the NSW Government as part of the waste levy. "The NSW Government collected $659 million in waste levies in 2016/17, yet only 18% of the waste levies paid by local government were returned to local government. "It's even more disappointing when you look at the record NSW surplus, and the Government's decision to spend billions of dollars on sporting stadiums in Sydney." China's National Sword Policy applies to the importation of recycling materials from Australia and all other countries. It applies a strict contamination rate on recyclables, which requires a more detailed and expensive sorting process than that used by most recycling companies in Australia. It included today's announcement of $9.5 million, designed to assist industry and local government to co-invest in infrastructure projects, identify new uses for recyclable materials, improve the quality of recycled products, and reduce the amount of unrecyclable material left at the end of the process. Clr Scott said councils were already moving to create a circular economy where waste becomes the input for new products, and consumers choose to buy products that have recycled content, for a more sustainable future. While recycling is often touted as the solution to the large-scale production of plastic waste, upwards of half of the plastic waste intended for recycling is exported from higher income countries to other nations, with China historically taking the largest share. But in 2017, China passed the "National Sword" policy, which permanently bans the import of non-industrial plastic waste as of January 2018. Now, scientists from the University of Georgia have calculated the potential global impact of this legislation and how it might affect efforts to reduce the amount of plastic waste entering the world's landfills and natural environment. They published their findings today in the journal Science Advances. "We know from our previous studies that only 9 percent of all plastic ever produced has been recycled, and the majority of it ends up in landfills or the natural environment," said Jenna Jambeck, associate professor in UGA's College of engineering and co-author of the study. "About 111 million metric tons of plastic waste is going to be displaced because of the import ban through 2030, so we're going to have to develop more robust recycling programs domestically and rethink the use and design of plastic products if we want to deal with this waste responsibly." Global annual imports and exports of plastic waste skyrocketed in 1993, growing by about 800 percent through 2016. Since reporting began in 1992, China has accepted about 106 million metric tons of plastic waste, which accounts for nearly half of the world's plastic waste imports. China and Hong Kong have imported more than 72 percent of all plastic waste, but most of the waste that enters Hong Kong -- about 63 percent -- is exported to China. High income countries in Europe, Asia and the Americas account for more than 85 percent of all global plastic waste exports. Taken collectively, the European Union is the top exporter. "Plastic waste was once a fairly profitable business for China, because they could use or resell the recycled plastic waste," said Amy Brooks, a doctoral student in UGA's College of Engineering and lead author of the paper. "But a lot of the plastic China received in recent years was poor quality, and it became difficult to turn a profit. China is also producing more plastic waste domestically, so it doesn't have to rely on other nations for waste." For exporters, cheap processing fees in China meant that shipping waste overseas was less expensive than transporting the materials domestically via truck or rail, said Brooks. "It's hard to predict what will happen to the plastic waste that was once destined for Chinese processing facilities," said Jambeck. "Some of it could be diverted to other countries, but most of them lack the infrastructure to manage their own waste let alone the waste produced by the rest of the world." The import of plastic waste to China contributed an additional 10 to 13 percent of plastic waste on top of what they were already having a difficult time managing because of rapid economic growth before the import ban took effect, Jambeck said. "Without bold new ideas and system-wide changes, even the relatively low current recycling rates will no longer be met, and our previously recycled materials could now end up in landfills," Jambeck said. You are invited to have your say on a proposed amendment to the State Environmental Planning Policy (State and Regional Development) 2011 for the development of government-owned land adjoining the Sydney Metro Northwest corridor. The proposed amendment to the State and Regional Development SEPP aims to ensure a state-led, consistent and transparent planning pathway for the development of government land within the eight station precincts along Australia’s largest public transport infrastructure project; the $8.3 billion Sydney Metro Northwest. Outlined in the consultation paper, the proposed amendment nominates the Minister for Planning as the consent authority for future development on identified government-owned land, if the development meets the criteria of State Significant Development. - has a capital investment value of more than $30 million. information papers that provide further information, background and practices to foster improved environmental management outcomes. In November 2017, the Minister for Resources and Northern Australia, Senator the Hon Matthew Canavan, announced a series of changes to improve the transparency of offshore petroleum environmental management. The Department of Industry, Innovation and Science has commenced work to develop the necessary regulatory amendments. In preparation for these changes, NOPSEMA is now seeking feedback on its guidance documents relating to the assessment of environment plan. Comments may also be provided on any other published environmental management guidance document on the Environment Resources page. Comments are to be provided by 20 July 2018 using theONLINE SURVEY. Enquiries should be directed toenvironment@nopsema.gov.au. NOPSEMA will consider the feedback received during the public comment period and may also conduct further consultation with stakeholders to address comments received. NOPSEMA will aim to publish a report by the end of 2018 to collate the comments received and provide a response on the merits of the feedback. A new era of aged care quality and safety compliance begins on 1 July, as unannounced audits are rolled out across Australia’s almost 2,700 residential aged care homes. Aged Care Minister Ken Wyatt AM said from tomorrow, homes would no longer be given notice of the date of their re-accreditation audit. “There will be no compromise,” said Minister Wyatt. “Audit teams will arrive at any time, to monitor and ensure the provision of safe, quality care 365 days of the year. “This is about certainty and confidence for older Australians and families whose loved ones are receiving care. Minister Wyatt said the Turnbull Government’s introduction of unannounced audits marked the beginning of a quantum shift in aged care quality compliance and customer-directed care. “Work is advancing on Australia’s new, independent Aged Care Quality and Safety Commission, which begins operations on 1 January 2019,” said Minister Wyatt. “The recent Federal Budget earmarked more than $32 million for the Commission to intensify compliance and strengthen risk profiling of aged care providers, with the aim of preventing care lapses before they occur. The Commission will combine the functions of the current Australian Aged Care Quality Agency, the Aged Care Complaints Commissioner and the aged care regulatory role of the Department of Health. “The new re-accreditation audit regime builds on the existing system of unannounced inspections by the Quality Agency,” said Minister Wyatt. To maintain their approval to receive Commonwealth funding, aged care homes must comply with four standards comprising 44 required outcomes, including the adequate provision of qualified staff, clinical care, nutrition, hygiene, dignity, privacy and security. “During re-accreditation audits, aged care residents are also encouraged to provide feedback,” said Minister Wyatt. “It is a requirement that the audit teams meet with at least 10 per cent of a home’s care recipients and conduct Consumer Experience Interviews with a minimum number of randomly sampled residents. The audits also include opportunities for family feedback. The enhanced audit system, the new Aged Care Quality and Safety Commission and the aged care comparison system were key recommendations of the Review of National Aged Care Quality Regulatory Processes which Minister Wyatt commissioned last year. “The Turnbull Government stands with older Australians and their families, with aged care providers and with the sector’s 360,000 dedicated staff, in our shared commitment to quality care,” Minister Wyatt said. Aged care accreditation and compliance decisions and resident feedback results are available at www.aacqa.gov.au. The NSW Government said this week it would implement the majority of reforms recommended in a report on the state’s retirement villages. Better Regulation Minister Matt Kean said the reforms would be based on the outcomes of the recent state-wide inquiry into the sector, led by Kathryn Greiner. “We strongly support the inquiry’s findings, and believe that our response will go a long way to putting the power back in the hands of retirees and their families,” Mr Kean said. The state government said it would also appoint a dedicated Retirement Village Ambassador to advocate on behalf of residents, and report back on key issues and consult with the sector on the potential for further reforms to improve the professionalism of operators and increase certainty of costs. Minister for Ageing Tanya Davies said more than 55,000 NSW residents lived in retirement villages and the number was set to grow significantly due to the ageing population. “We want residents to be able to live independent and fulfilling lives in their chosen retirement village, which is why it’s incredibly important we improve our laws to increase confidence in the sector,” Mrs Davies said. The state government called the inquiry last year after a series of concerning reports about alleged misconduct in the sector. The inquiry included extensive consultation with the public, key stakeholders and industry experts, received about 500 submissions, and more than 500 people attended state-wide community forums. Greater focus on mental health outcomes in the community and engagement of people living with mental illness are among a number of key recommendations to be implemented following the Review of the Mental Health Commission of NSW. Minister for Mental Health Tanya Davies today released the five-year statutory Review of the Commission, which makes 17 recommendations on the work of the Commission – related to strategic planning, advocacy and systemic reviews. “This report recognises the contribution made by the Commission in the mental health system, and its important role in providing a vision to the people of NSW to live well and maintain good health and wellbeing throughout their life,” Mrs Davies said. The Review found that reporting 'should be holistic and systemic’ and ‘should encompass not just the role of the public health system in improving outcomes, but also the roles of private and general practice and the broader social sector’. “The Review also notes that the time has come to revisit Living Well, and I have had discussions with the Mental Health Commissioner about beginning that process,” Mrs Davies said. The NSW Government has accepted 16 of the 17 recommendations of the Review, with the recommendation to rename the Commission subject to further consideration. The Review consultation process has been extensive, engaging stakeholders from the mental health, broader health, government, and community sectors, as well as a comparative analysis of mental health governance and best practice models in other jurisdictions. The NSW Government is investing a record $2.1 billion for mental health services in 2018-19, including $100 million to continue building a community mental health system in NSW. These initiatives form part of the NSW Government’s mental health reform response to the Commission’s Living Well strategic plan. For the Review of the Mental Health Commission of NSW: Report to Parliament 2018 and Government response visit:www.health.nsw.gov.au/mentalhealth/mhcreview. Avalon Computer Pals for Seniors has a program of computer courses for seniors over 55 held at the Newport Community Centre. 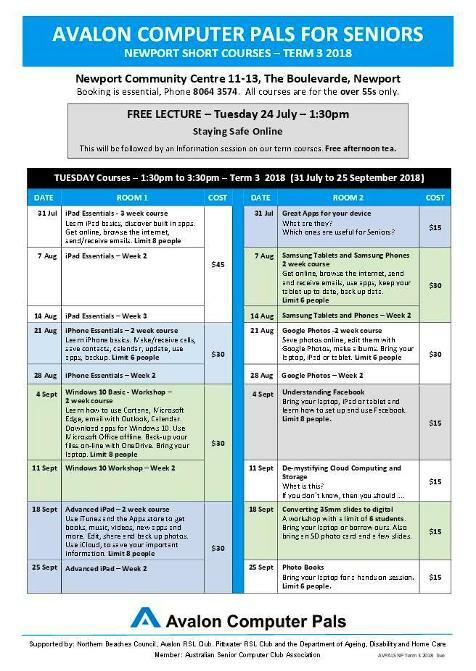 Beginners introduction to computers, Windows 10, Skype, iPads, Social media – Facebook and Twitter, Apple MAC, Digital Photography (extended 5 week course), Android Tablets, Smart phones, Genealogy, Scanning and printing. AVPALS is totally managed by volunteers. Our only costs are for rent, utilities and internet access. We put a little aside to buy new equipment. For this reason we only charge a nominal amount, typically $30 for a ten week one-to-one training term at Avalon and $15 a session at Newport. Most Newport sessions have around 5 participants. Our friendly tutors make computers a pleasure. To enrol in one of these one to one courses you need to attend our enrolment day, held just before the beginning of each school term. See the calendar at the bottom of this page for the sign on dates. Our friendly tutors make computing a pleasure! An increasing number of people are seeking advice about preparing for a time when they can no longer make decisions about their own health care. Government-funded advisory service Advance Care Planning Australia (ACPA) said its call volumes in May 2018 soared by 462 per cent, compared to those in October last year. “It’s great to see more interest in advance care planning, which previously has not been well understood in Australia,” ACPA’s Dr Karen Detering said. Dr Detering said the surge in call volumes was due to increased Australian and state government focus on advance care planning and the inaugural National Advance Care Planning Week, held in April this year, when more than 100 community and health care organisations hosted awareness-raising events. The number of calls from Victorians also rose after legislative changes governing advance care planning in Victoria came into effect in March. National Seniors Australia Chief Advocate Ian Henschke was an Advance Care Planning Week ambassador. Dr Detering said ACPA’s advisory service could help people navigate the complexities of advance care planning, offering specialist advice, including how to start the conversation, help with forms relevant to each state and territory, as well as documenting preferences in an Advanced Care Directive. They may be those with early dementia or a life-limiting disease such cancer, who want to make plans for their future health care, people with ageing parents, as well as younger individuals keen to document their preferences in the event of an unexpected medical emergency. “We can’t control everything about ageing, however, good advance care planning can help people and their families prepare for a time when they can no longer make their own medical decisions,” Dr Detering said. Almost 50 per cent of people will not be able to make their own end-of-life medical decisions. Less than 15 per cent of Australians have documented their preferences in an Advanced Care Directive. One third of Australians will die before the age of 75. Research shows advance care planning can reduce anxiety, depression and stress experienced by families who are more likely to be satisfied with their loved one’s care. For further information, call Advance Care Planning Australia advisory service 1300 208 582, 9am-5pm, Monday to Friday (AEST) or visit the website . Have you ever passed one of these monsters on one of our State roads? With wind farms being built all over NSW, there's a good chance you have. As this video shows, hauling the parts for these massive wind turbines is quite a process. Nominations are now open for the 2018 NSW Grandparent of the Year Award! Celebrate the role grandparents and older people play in our families and communities and nominate today. The 2018 NSW Grandparent of the Year Award recipients will be announced at an award ceremony at NSW Parliament House in October, ahead of NSW Grandparents Day. All nominations must be submitted online via the 2018 NSW Grandparent of the Year nomination form on the SmartyGrants portal. You’ll be asked to provide contact details and information about why your nominee should be recognised as the NSW Grandparent of the Year. Nominations will be judged on contributions made to families and communities, and to intergenerational connections within the community. Please note that award finalists will be required to complete a police check. Nominations close Friday 7 September 2018. For more information, email grandparentsday@facs.nsw.gov.au. Find out more about the NSW Grandparent of the Year Award on theNSW Grandparents Day website. The Australian Government will provide more than $8 million in funding to support thousands of asthma patients in Australia. Asthma can be fatal, causing around 400 deaths each year and asthma attacks cause around 40,000 hospitalisations every year. More than 2.5 million Australians are affected by asthma and it is one of the most common chronic conditions among children. Asthma Australia will receive $7.6 million to continue two training programs. Asthma Australia’s Asthma Child and Adolescent Program delivers asthma information and emergency training for staff in preschools and schools and supports self-management for adolescents while its Community Support Program delivers community training education workshops and information online. National Asthma Council will receive $525,000 to boost its support for GPs and nurses. This program provides training in best practice response to asthma and linked chronic respiratory conditions to primary care health practitioners, including GPs, practice nurses and Indigenous health workers. This additional funding means that the National Asthma Council is now receiving $1.26 million to support the conduct of the program over three years. Australia has high incidence of asthma compared to other similar countries. People living in remote or lower socio-economic areas have higher rates and are more likely to have severe and life threatening asthma. In January I announced $1 million for the National Asthma Strategy, which will provide a roadmap for more effective treatment and better care for patients. The Australian Government will provide $33 million to our world class researchers to continue the fight against rare cancers and rare diseases, giving hope to thousands of patients. Although we have seen increased survival rates for some cancers such as breast and bowel cancer, survival rates for rare cancers such as brain and ovarian cancer have remained relatively unchanged for some time. It is a tragedy that rare cancers are estimated to cause nearly 40 per cent of total cancer deaths in 2017. This funding will create opportunities to address these devastating survival rates associated with some of our cruellest cancers and diseases. I am committed to doing more and the Turnbull Government will continue to invest in research to find answers to these challenges. This funding will create opportunities for new clinical trial participation and allow researchers to contribute to advancing new drugs, medical devices and treatments to improve health outcomes for people living with rare cancers and rare diseases. We want Australia to be the first place in the world for new medical trials, giving Australian patients first access to the best medicine and treatments. Applications are now open for the third grant round under the Medical Research Future Fund’s (MRFF) Rare Cancers, Rare Diseases and Unmet Need Clinical Trials Program. In January, $26.6 million was awarded to 19 clinical trial activities addressing rare cancers, rare diseases and unmet need, which included clinical trials projects for conditions such as acute lymphoblastic leukaemia in infants, aplastic anaemia and multiple sclerosis. The Turnbull Government recently announced $248 million to support clinical trial activity through the highly successful rare cancer, rare diseases and unmet need clinical trials and registries program. This is on top of a $500 million, ten-year Australian Genomics Health Futures Mission which will help more Australians live longer and receive better treatment tailored to their medical needs. The grant applications will remain open until 15 August 2018. Details are available on the NHMRC's website. A new study from the Georgia Institute of Technology provides new clues indicating that an exoplanet 500 light-years away is much like Earth. "Mars is in the habitable zone in our solar system, but its axial tilt has been very unstable -- varying from zero to 60 degrees," said Georgia Tech Assistant Professor Gongjie Li, who led the study together with graduate student Yutong Shan from the Harvard-Smithsonian Center for Astrophysics. "That instability probably contributed to the decay of the Martian atmosphere and the evaporation of surface water." Mars and Earth interact strongly with each other, as well as with Mercury and Venus. As a result, by themselves, their spin axes would precess with the same rate as the orbital oscillation, which may cause large variations in their axial tilt. Fortunately, the moon keeps Earth's variations in check. The moon increases our planet's spin axis precession rate and makes it differ from the orbital oscillation rate. Mars, on the other hand, doesn't have a large enough satellite to stabilize its axial tilt. "It appears that both exoplanets are very different from Mars and the Earth because they have a weaker connection with their sibling planets," said Li, a faculty member in the School of Physics. "We don't know whether they possess moons, but our calculations show that even without satellites, the spin axes of Kepler-186f and 62f would have remained constant over tens of millions of years." Kepler-186f is less than 10 percent larger in radius than Earth, but its mass, composition and density remain a mystery. It orbits its host star every 130 days. According to NASA, the brightness of that star at high noon, while standing on 186f, would appear as bright as the sun just before sunset here on Earth. Kepler-186f is located in the constellation Cygnus as part of a five-planet star system. "I don't think we understand enough about the origin of life to rule out the possibility of their presence on planets with irregular seasons," added Shan. "Even on Earth, life is remarkably diverse and has shown incredible resilience in extraordinarily hostile environments. The paper, "Obliquity Variations of Habitable Zone Planets Kepler 62-f and Kepler 186-f," is published online in The Astronomical Journal. More than $31 million has been allocated to 46 mining companies under the Australian Government’s Junior Minerals Exploration Incentive (JMEI) for 2018-19. The figures were announced today by Minister for Finance Mathias Cormann and Minister for Resources and Northern Australia Matt Canavan, who described the funding decision as “a real shot in the arm for minerals exploration in Australia”. “This scheme is giving smaller, or ‘junior’, exploration companies a strong incentive to explore new areas for mineral deposits and that’s something Australia needs, despite the strength of our existing mining industry and its major contribution to the national economy,” Minister Canavan said. “The fact is that Australia has not seen a world-class mineral discovery for nearly two decades. Australia needs to increase exploration now to secure a pipeline of projects for the future and remain competitive with other prospective nations. It is crucial that new greenfield deposits are discovered and the JMEI is one way the Government is tackling this issue. “The Government recognises the critical role that junior mineral explorers play in maintaining a healthy and vibrant resources sector, and we are committed to supporting this sector. Minister Cormann said a total of $31,532,069 had been allocated for the 2018-19 round, with individual amounts to 46 companies ranging from $82,500 up to $1.576 million. “Companies have responded enthusiastically to the incentive for this round and in fact it has been ‘over-subscribed’, so not all applications were successful,” Minister Cormann said. “The fact this round was over-subscribed indicates an upswing in confidence among mining companies, prepared to get out in the field and spend money on exploration activities. “These tax incentives are encouraging junior explorers to take risks and to have a go at discovering the next large-scale mineral deposit. 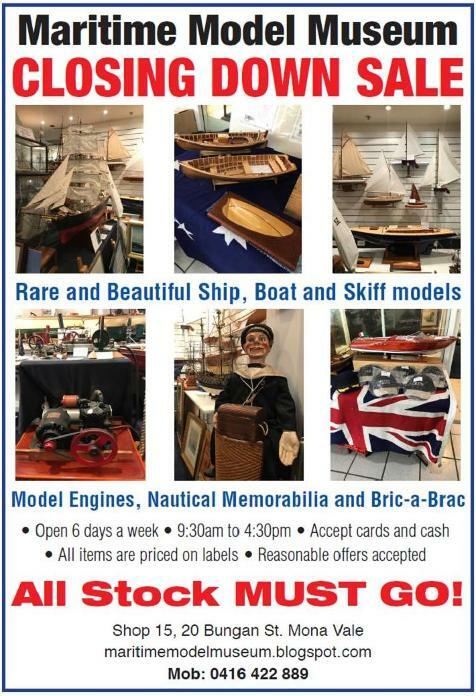 We want to back these businesses. Minister Cormann said the Junior Minerals Exploration Incentive allowed junior greenfields explorers to generate tax credits by choosing to give up a portion of their losses from greenfields mineral exploration expenditure. Note: The individual exploration credit allocations, along with the company name and ABN, are available at: data.gov.au. June 26, 2018: Curtin University, W.A. The most effective way for Australians to reduce their alcohol consumption is counting their drinks, new research led by Curtin University has found. The research, published in the journal Addictive Behaviours, found that the most effective ‘protective behavioural strategy’ (PBS), aimed at helping drinkers control their alcohol intake, was keeping count of their alcoholic drinks. Co-author John Curtin Distinguished Professor Simone Pettigrew, from the School of Psychology at Curtin University, said the research aimed to assess the relationship between 16 types of protective behaviours, such as drinking slowly, eating at the same time or spacing drinks with water, and alcohol consumption among Australians. “Excessive alcohol consumption is a major public health concern and is the third leading contributor to the burden of disease behind tobacco and obesity. We were intrigued to see what actually worked to reduce alcohol consumption over time,” Professor Pettigrew said. The four strategies that increased alcohol consumption over the four-week period included asking a friend to let you know when you have had enough to drink, putting extra ice in your drink, using a designated driver, and leaving drinking venues at a pre-determined time. Professor Pettigrew noted that further research was needed to explain the ineffectiveness of the other protective behavioural strategies. “The ‘counting your drinks’ strategy was effective across various demographic groups, indicating that it could potentially be a strategy used by health organisations hoping to reduce alcohol-related harm in Australia,” Professor Pettigrew said. The research, funded by Healthway, was co-authored by researchers from the School of Psychology at Curtin University, Cancer Council Victoria, and the University of Newcastle. The research paper, ‘A longitudinal examination of protective behavioural strategies and alcohol consumption among adult drinkers’, can be found online here. NSW Health and Fair Trading are urging people who use gas heaters to warm their homes and workplaces this winter to be aware of the symptoms of carbon monoxide poisoning. The Victorian Government is currently considering a ban on open-flue gas heaters after a woman recently died from carbon monoxide poisoning in her Melbourne home. Most heaters sold in the New South Wales marketplace are space heaters, rather than open-flue gas heaters, and to date there have been no reported incidents in the State. However, NSW Fair Trading Commissioner Rose Webb said the tragic loss of life in Melbourne has highlighted the need for consumers to be made aware of the dangers. “Harmful gases such as carbon monoxide can be released from open-flue heaters, outdoor heaters, burning charcoal or BBQ coal,” Ms Webb said. Genevieve Adamo, a Senior Specialist in Toxicovigilance at the NSW Poisons Information Centre, said when breathed in carbon monoxide displaces oxygen in the bloodstream and deprives the heart, brain and vital organs of oxygen. “Symptoms can include headaches, nausea, vomiting and dizziness, and prolonged exposure to this gas can have severe consequences including falling unconscious and in some instances death,” Ms Adamo said. children are supervised around heaters. If you think someone has been exposed to carbon monoxide then you should immediately contact the NSW Poisons Information Centre on 13 11 26,” Ms Adamo said. While there is currently no ban on open-flue gas heaters in NSW, Fair Trading runs regular education campaigns on the safe use of gas and other heating appliances. Soil health, innovation, digital farming and next generation weather forecasting will be improved thanks to $27 million in funding through round one of the Smart Farming Partnership grants. Fifteen projects will be funded through grants of up to $4 million to adopt the next generation of sustainable farming practices to benefit the future of Aussie agriculture. Minister for Agriculture and Water Resources David Littleproud said the multi-year grants will bring together farmers, researchers, community groups and others. "We are funding ambitious projects to benefit sugar cane farmers in Queensland, graziers in Western Australia and on farm weather forecasting in NSW," Minister Littleproud said. "Farming can be rough and unpredictable. Dynamic real-time weather forecasting helps farmers make better decisions instead of relying on seasonal weather forecasts. "One project will show farmers how to use manures and composts with other fertilisers to avoid doubling up and wasting money as they improve soil health and on-farm productivity. "Many consumers want sustainably sourced food and fibre, including sugar. New block chain technology will help sugar exporters track their sugar overseas and get better access for exports. "Innovative technology will measure pasture productivity against soil nutrients on grazing farms in WA to reduce fertiliser use, improve water quality and deliver better pasture. "Other projects include pest control and vegetation management to meet the growing demand for verified sustainably produced products." The recipients of the grants include Landcare, farming, and community groups, indigenous organisations, universities, research and development bodies and technology groups.